Building a fast, reliable distributed system that provides maximum utilization of computing resources involves careful understanding of scheduler behavior, fault-tolerance tradeoffs, and when and where jobs are supposed to be run. Thankfully, this has become easier to understand with the introduction of Mesos in the data center. Multiple Mesos frameworks, which handle the scheduling and execution of application tasks, can run on the same cluster to get the fullest utilization of hardware, and in many cases decide where an application should run for lowest latency and highest reliability. This workshop aims to demystify the process of writing a Mesos framework and show how it helps handle problems faced by distributed systems engineers. Clojure is used as a way to understand and interactively build the system. A system designer can apply knowledge gained to other languages depending on their requirements. Ed Paget is a software developer with the Zooniverse where he writes software that allows scientists and volunteers to collaborate on scientific research. He's interested in how small teams can use Mesos to simplify how they manage their infrastructure. When he's not helping find supernovae or count wildebeests, Ed enjoys playing basketball, drinking coffee, and hacking on Emacs. 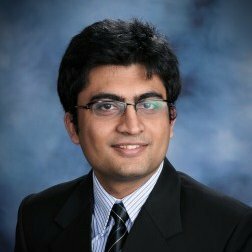 Prasanna works as a Software Engineer at Staples SparX. He has had experience in building and managing various types of distributed systems - from systems to schedule jobs for scientific computing to building small clusters on Raspberry Pis. He fell in love with Clojure in his college years and has been building systems in the language ever. He sees a lot of potential in the power of Clojure and Mesos for simplifying the development and management of large scale distributed systems.